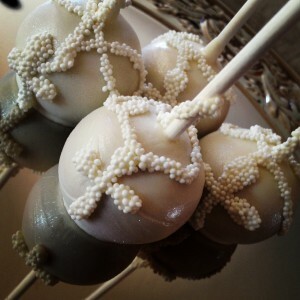 Who is making Communion and Confirmation Cake Pops?! I made some for my little cousins and thought I would share some easy and elegant ideas with you! First make (or buy I suppose) a cake of course I just make a standard Devils food Betty Crocker cake. Wait for it to cool down a bit and then crumble it all up and knead it to a doughy consistency:) I like to use the food processor, because it cuts the time down to about a 1 minute or two (give it try if you haven’t already)! If you would like to see how I make them click here! I then use the Easy Roller to quickly roll out all my cake dough into little 1.25″ rounds. Next dip them into white candy melts and set them on to wax paper to dry. These I made to be “stick up” so no styrofoam or KC Bakes stand was needed! 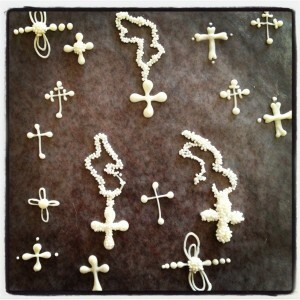 Once they are dry, dust on some pearl dust for the shimmer effect! I have a tutorial of this too here. Once you have found a design you like and comfortable making, move to the cake pops! 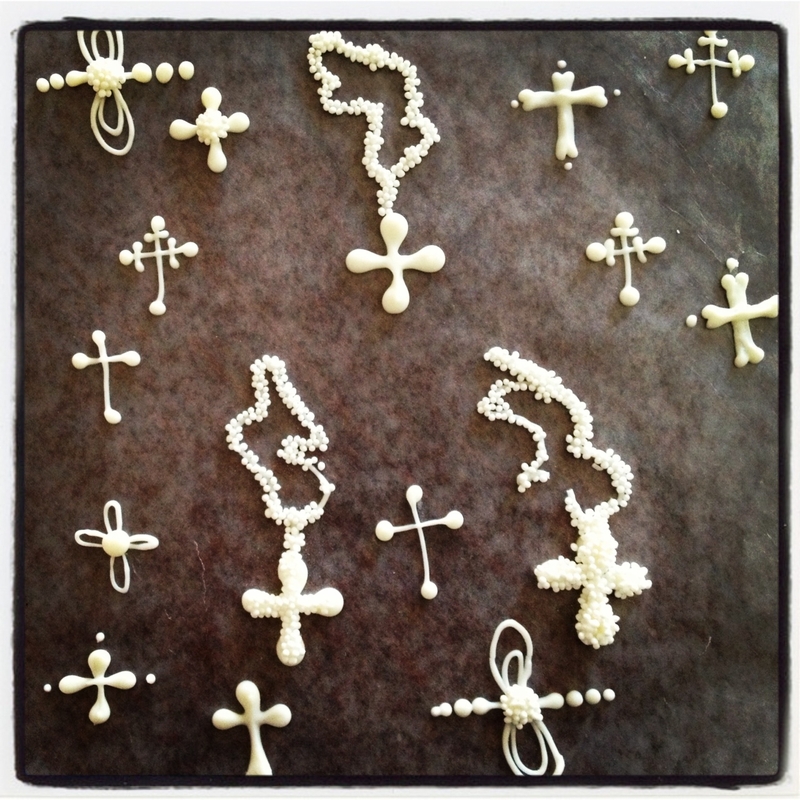 I decided to make a simple cross with chain and cover them in the white sprinkles while they were still wet! Like in the Earth Day Pops! The Sprinkles are very forgiving and look and taste great:)! !